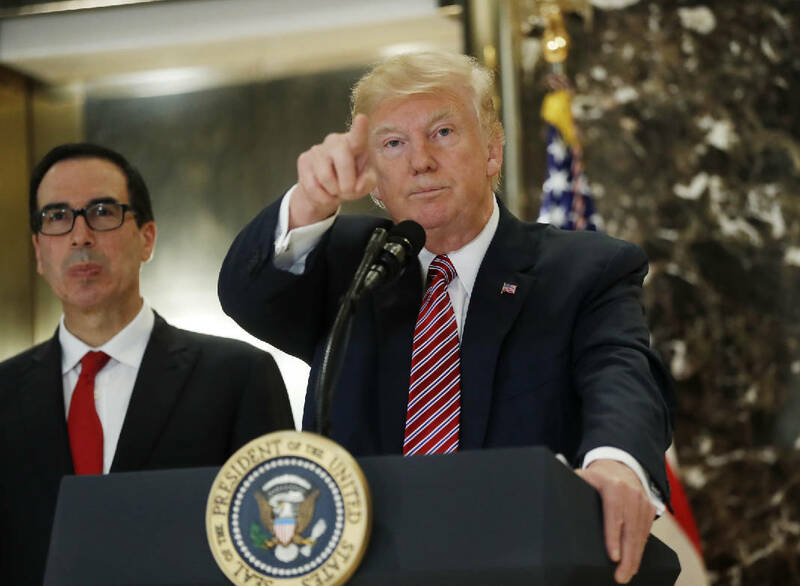 NEW YORK (AP) — President Donald Trump returned insistently Tuesday to his assessment that "there is blame on both sides" after being roundly criticized for such comments following the deadly violence last weekend in Charlottesville, Virginia. Trump's remarks on his home turf at Trump Tower in New York City followed a more deliberate statement he made Monday in Washington. Reading from prepared remarks inside the White House, he said then that "racism is evil" and branded members of the KKK, neo-Nazis and white supremacists who take part in violence as "criminals and thugs." That statement followed sharp and unrelenting criticism, including from many top Republican lawmakers, of his more general Saturday remarks bemoaning violence on "many sides." Yet during an impromptu press conference Tuesday, Trump seemed to undo what he said a day earlier. He praised his own controversial Saturday statement, even pulling it from his suit pocket to read it again. And he followed that recitation by angrily laying blame on liberal groups in addition to white supremacists for the Charlottesville violence. Some of those protesting the rally to save a statue of Confederate General Robert E. Lee were "also very violent," he said. "There are two sides to a story," he said. He added that some facts about the violence in Charlottesville still aren't known.